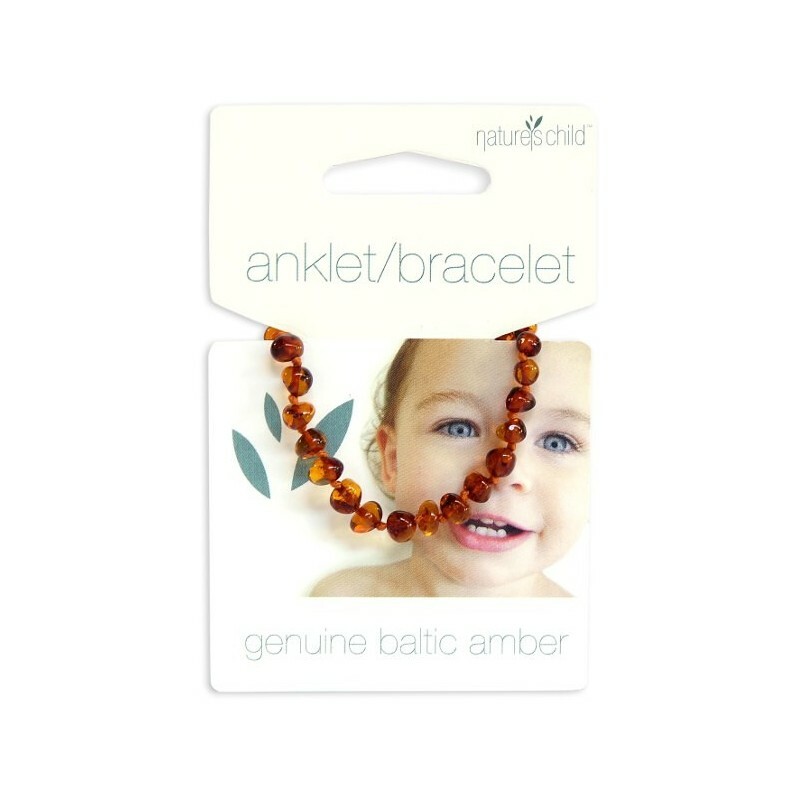 Made from genuine baltic amber, this bracelet/anklet can soothe your baby with the anti-inflammatory and pain-relieving qualities of the amber. Plastic screw clasp to secure around small arms and ankles. 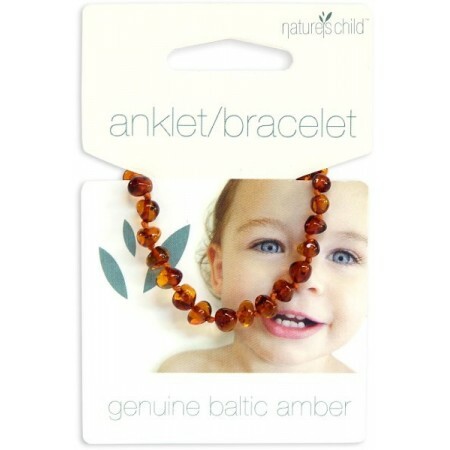 Lovely product, looks gorgeous but wanted it to be worn as anklet and my chubby 5 month old (regular chubby, not massively chubby) doesn't fit this around his ankle without digging in and leaving marks and looking too tight. Says it fits up to 2 year olds. I put it on his wrist as a bracelet and within an hour it had unscrewed and had fallen off. That was enough for me to stop him from wearing it as my baby is at the stage of shoving everything into his mouth and if I wasn't paying attention he would have put this in his mouth and possibly choked. Such a pity because I love the idea and healing qualities of these.